There’s been a can of pumpkin in my pantry taunting me. “Use me, Brenna! Usssssssssssse Meeeeeeeee.” You win, pumpkin can! 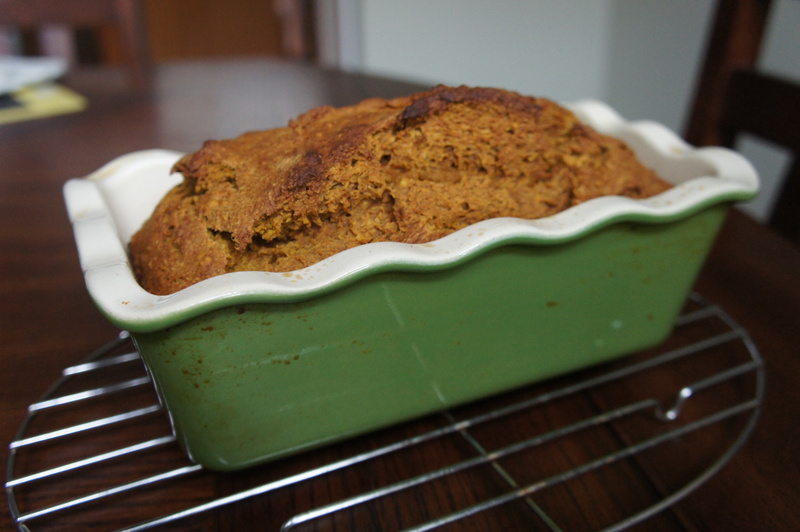 I’ve eaten just about every pumpkin flavored food imaginable this fall, but I missed one of my absolute favorites: pumpkin quick bread. I spent a long time googling pumpkin bread recipes. I had to avoid recipes with cupfuls of oil seeing as this was a baked good in my house that I would inevitably consume the majority of. But, I still wanted pumpkin bread– not whole wheat, no sugar, super dry pumpkin cardboard. “This is freakin’ delicious!” said the first taster followed by positive affirmations from the second. And I honestly agree. A hint of spice and full of moisture without a million calories. A definite must-bake! 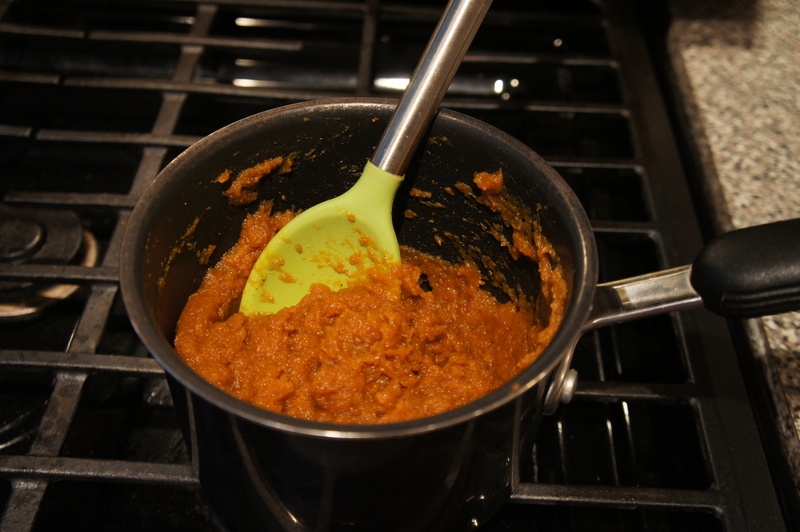 Cook pumpkin, sugar, cinnamon, salt, and nutmeg together in medium saucepan over medium-high heat, stirring constantly, until thick and shiny, 5 to 7 minutes. Set aside to cool. Preheat oven to 350 degrees. Lightly coat loaf pan with nonstick spray. 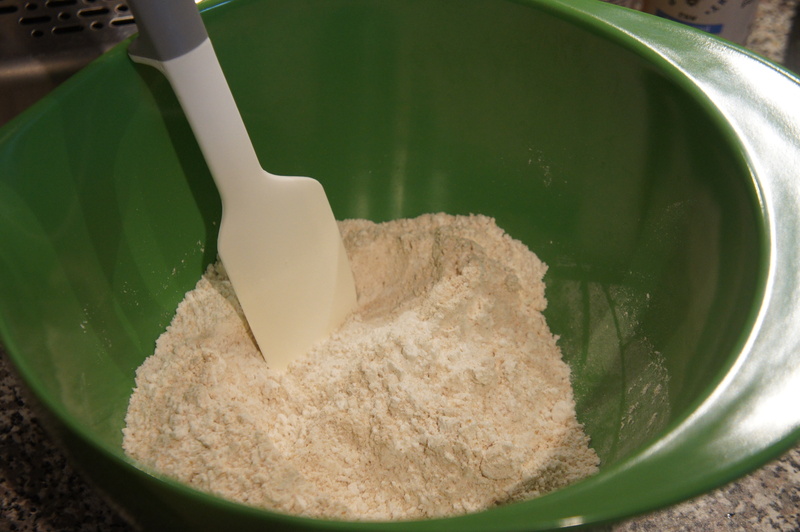 Whisk flours, baking soda, and baking powder in large bowl. 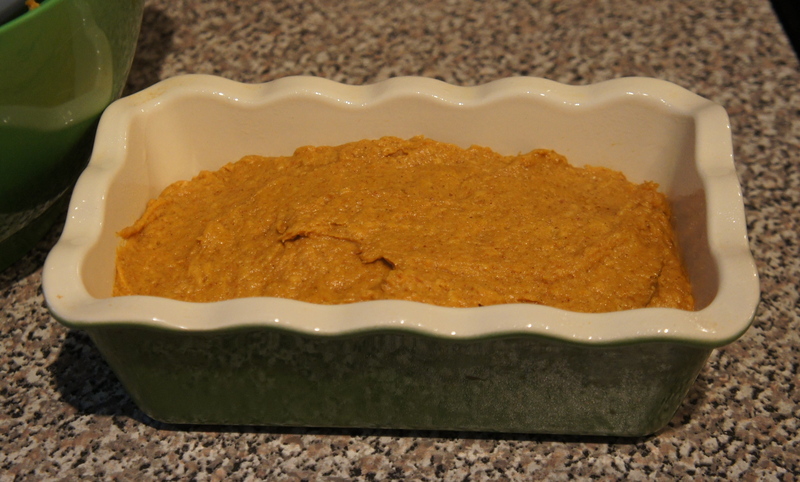 In separate bowl, stir cooled pumpkin mixture, melted butter, eggs, and vanilla. 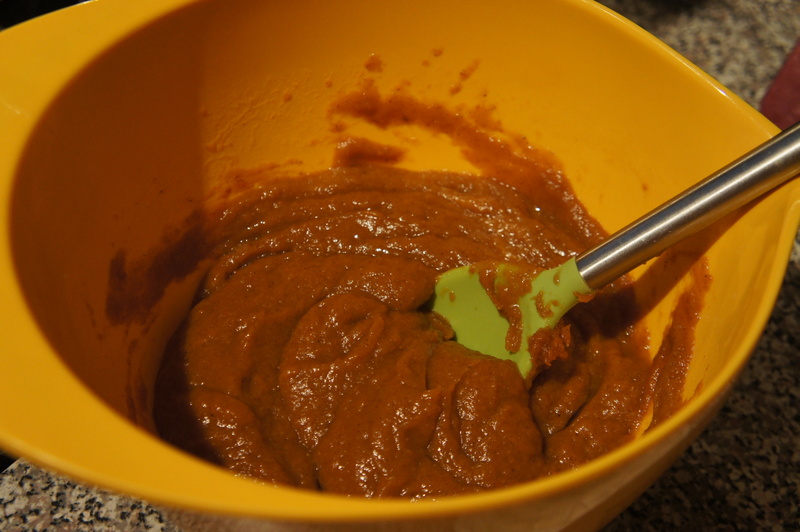 Gently fold pumpkin mixture into flour mixture until just combined. The batter will be thick. Spread into loaf ban and bake until toothpick inserted into the center of the loaf comes out with just a few crumbs, 45 to 55 minutes. Rotate pan halfway through baking. Let cool in pan 10 minutes and then turn out to cool on a wire rack for 1 hour before serving.